Chievo goalkeeper Alessandro Confente has emerged as a surprise target for Manchester United and Juventus in the January transfer window. According to the football transfer rumours in English Media, Manchester United and Juventus are interested in Chievo goalkeeper. The Italy U19 international has played 9 games for Chievo in Primavera B conceding 9 goals and provided 3 clean sheets this season. Confente has also represented Italy at U19 level, winning one cap. The 18 year-old has a valid contract with Chievo until June 2019. 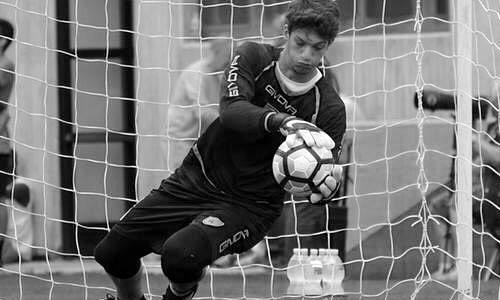 Alessandro Confente is a player who has impressed many English scouts, and it is understood that Jose Mourinho would prefer playing him at Manchester United as a reserve goalkeeper. Manchester United are reportedly favourites to sign goalkeeper Alessandro Confente in the January transfer window for a fee in a region of 4.7 million euros. Manchester United are thought to hold a strong interest in the goalkeeper, with Juventus also keeping a close eye on proceedings.